Portsmouth defender Jack Whatmough has signed a one-year contract extension with the League Two club up until 2017. 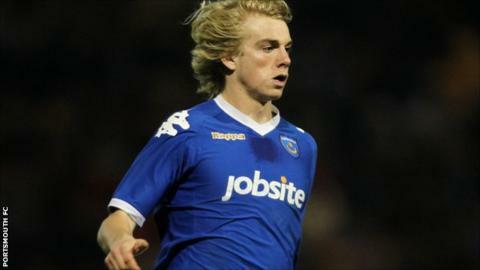 Whatmough, 17, made his debut against Southend in November and has made a further eight first-team appearances. He also made his England Under-18 debut against Croatia last month. "Jack has made a big impression this season and deserves a new deal," said caretaker manager Andy Awford. "We're delighted that he's shown commitment to the Pompey cause by agreeing to stay." Whatmough signed his first professional contract in August 2013.